Next, I would suggest really crawling around the car and bring a magnet to check for filler. The car has been repainted and it looks like the heater channel was kind of missed. The lower portions of the car are important to check for rust as is the area around window seals and the area under those vents behind the rear quarter windows. 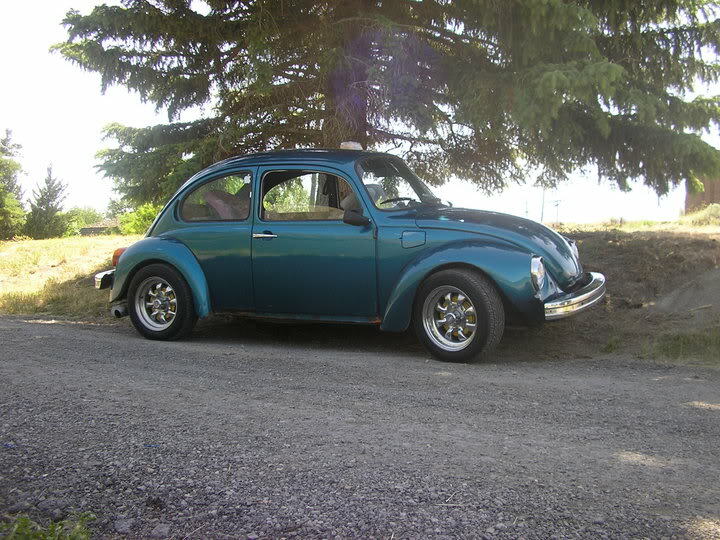 The Super beetles have a totally different front end designed compared to the standard sedans. The supers have McPherson struts and a lot more parts for suspension. Often times these parts can become warn and cause a shimmy around 55mph and up. I would suggest trying to get it up to speed. It is not a deal breaker but simply something that would need to be addressed. I could go on but I am not too sure how versed you are in things Volkswagen. Good luck!